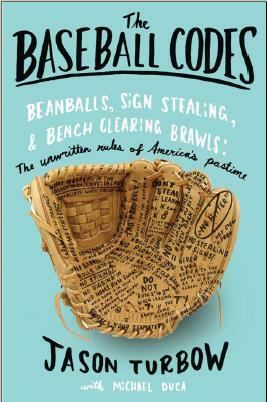 Regardless of how you feel about baseball’s unwritten rules—and there are many who decry the eye-for-an-eye mentality of retaliatory HBPs—it is difficult to quibble with the sentiment at their core: enforcement of respect on a baseball diamond. Respect for one’s opponents. Respect for one’s teammates. Respect for the game. In this regard, the Twins are proving to be an exemplary organization. Big league ballclubs tolerate flashy displays by their players all the time, because picking one’s battles becomes an increasingly relevant pursuit when it comes to emotionally fragile superstars who are locked into multiyear deals. This leaves it up to the opposition to settle the score. Hence, the aforementioned retaliatory HBPs. The period before these players reach multimillionaire status, however, presents a fertile time during which to instill appropriate work habits. Which the Twins appear to be doing. On Tuesday, for example, Miguel Sano, playing for the team’s Double-A club in New Britain, hit a long home run, then watched it, then settled into a glacial home run trot that saw him take 29 seconds to round the bases. He did it against a Portland pitcher, Bobby Lanigan, who had until only recently been his teammate. 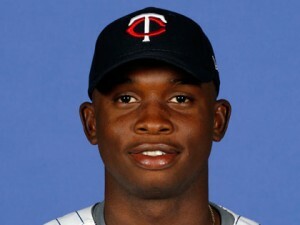 It was not the first time that Sano, the third-ranked overall prospect in the minor leagues according to the St. Paul Pioneer Press, has encountered such trouble. In April, he hit a grand slam while playing for Single-A Fort Meyers, then overtly flipped his bat. Later in the game, the opposing pitcher threw a fastball at his head in response. Sano reacted to that message with more of the same, homering during the at-bat, then pumping his fist and shouting toward his team’s dugout. It seems that the Twins have seen enough. Sano was pulled from the game following his display against Portland, and has not seen the field since. Critics can decry the concept of retaliatory pitches ad nauseum, but if every organization approached things as proactively as the Twins have handled this situation, there would be far less call for them in the first place. Update (7/28): After four games, he’s back. This is the kid from the documentary “Pelotero”! It’s streaming on Netflix, and now officially on my list to see. Thanks for the heads-up. The rumor mill up here mentions that Sano said some stupid things to his manager first and then to GM Terry Ryan, who happened to be there. Wouldn’t be shocking, given his track record. The lessons a young player learns about hierarchy in baseball are generally true in any workplace environment. The quicker they’re learned, the easier things become.